The hardest part of creating a family budget is knowing where to start, and actually getting started. There are so many tools, methods, and advice for how to do this, that we decided to do a roundup of some of the best. But first, why should you have a family budget? Mint.com says it simply: "It's important to look household finances squarely in the eye, because that's the only way to control them; otherwise, they control you." A budget helps your family save for future plans, from an overseas family vacation, to a college fund, kitchen remodel, or retirement. A budget is also useful for paying down debt and building an emergency fund. There are experts out there to help you get started, if you're not sure what to do first. Check out these top financial gurus (some local) who are ready to hold your hand through the process. Indianapolis financial wizard Pete the Planner has a ton of useful tools, books and information on his website to help you get started. 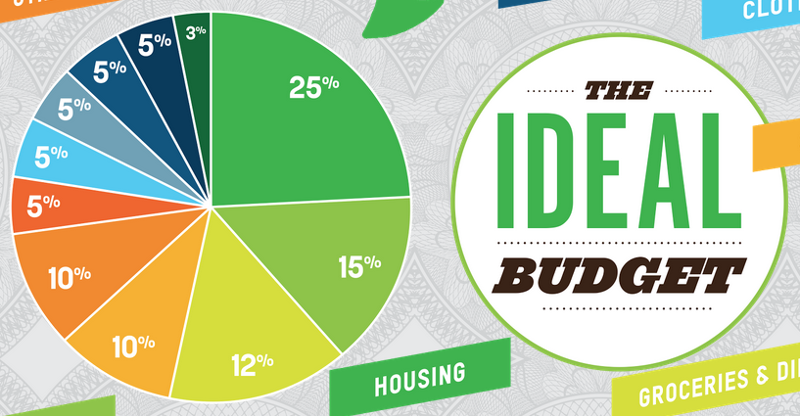 We love this particular infographic that shows, in a pie chart, the breakdown of your family budget. Go check it out to get all the details about why this budget makes sense. Many people have found their way out of debt thanks to Dave Ramsey's program. Not everyone agrees with his methods, but it's worth checking out if you have serious debt and want to attack it with a solid plan. You can find free tools on his website, like these budget forms. There is also an online class called Financial Peace University. This money guru has a strong following, as well. There's a bit of a competition between Suze and Dave, because of their difference in philosophy. Her website offers books, kits, and a resource center to help you get started. If a financial guru is not your thing, and you want more one-on-one help with investments and budgeting, consider working with a financial advisor. Top ranking advisors in Indianapolis, according to Barron's. Next, keep track with your favorite app. Mint is the de facto financial app. It's at the top of all the lists for a good reason. Not only does Mint.com have tons of resources to help you learn create your budget, their mobile app makes it easy to see where you are with your finances, at a glance. 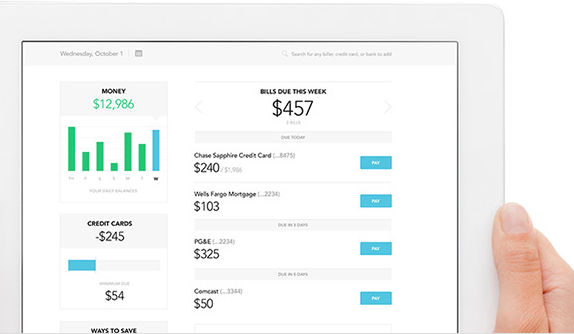 Accounts is a simple $1 app that acts as a digital checkbook register. You can enter all your monthly bills, your debits, credits, and paychecks, and keep track of your spending. It also has simple budgeting reports that show where your money has gone throughout the month or year. There's nothing wrong with pen and paper budgeting, or spreadsheets. The method and tools that you choose are important. If you choose a method you don't enjoy using, you are less likely to stick with it. A local couple told us that they use the "envelopes of cash" method to control spending. Every payday, or once a week, they budget their spending, pay bills online, and then anything else like groceries, gas, etc, gets an envelope of cash. This keeps them on budget, and helps them avoid extravagant impulse purchases. 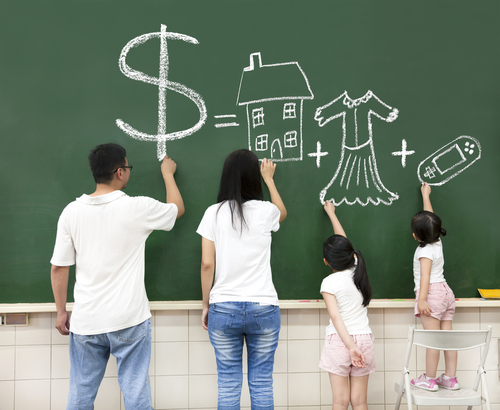 What are your family's favorite ways to create, manage, and stay on a budget? Share your experiences in the comments below.